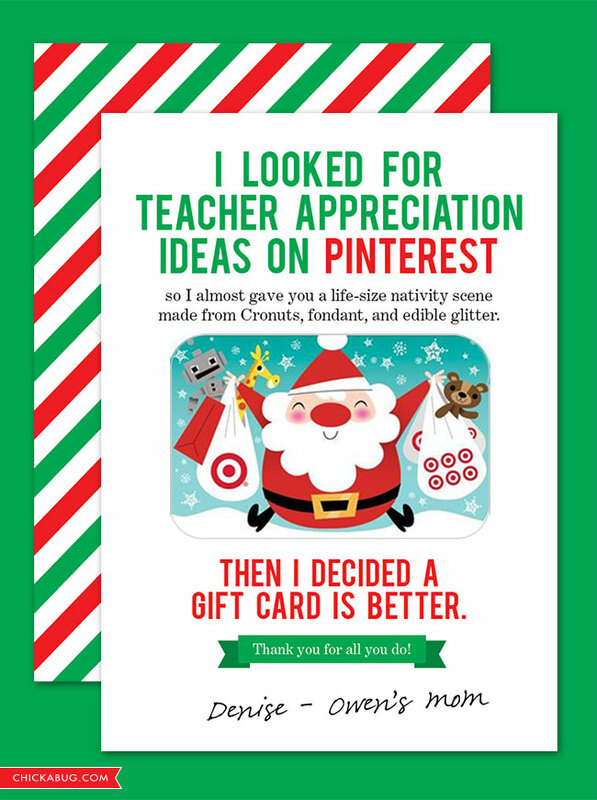 Awhile back, I made some free printable teacher appreciation cards, poking fun at Pinterest (with love!) and all of the over-the-top, craftiest-mom-on-Earth ideas that you see featured there. The whole idea is that you might want to make a super-crafty present, but let’s be real – grabbing a gift card is really the best option for so many of us. (And who doesn’t want to get a gift card? They’re awesome!) Well, you guys liked the printable cards. You liked them a whole lot, which made me super happy! You, my friends, get my sense of humor. You’re my kind of ladies!! 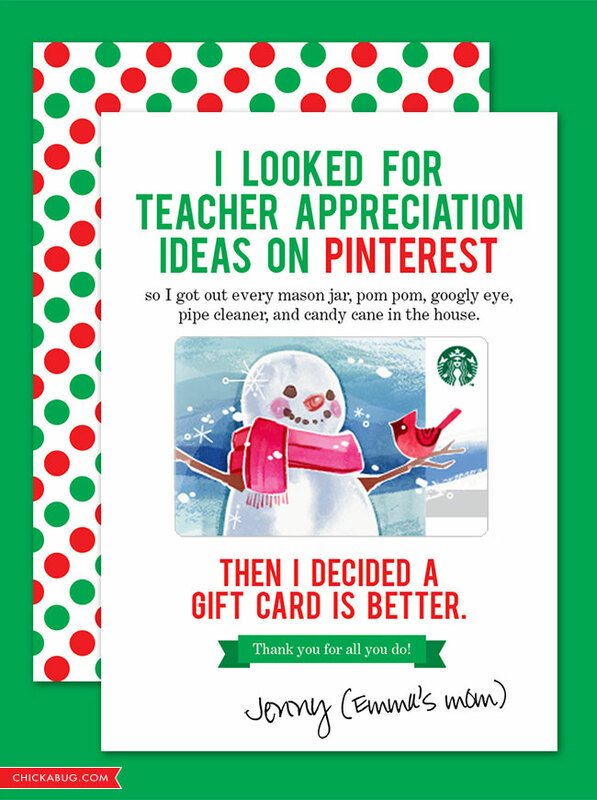 So, unbelievably, it took me over a year to realize that this style of teacher appreciation cards would be equally fantastic for Christmas and the holidays. But better late than never, right?! 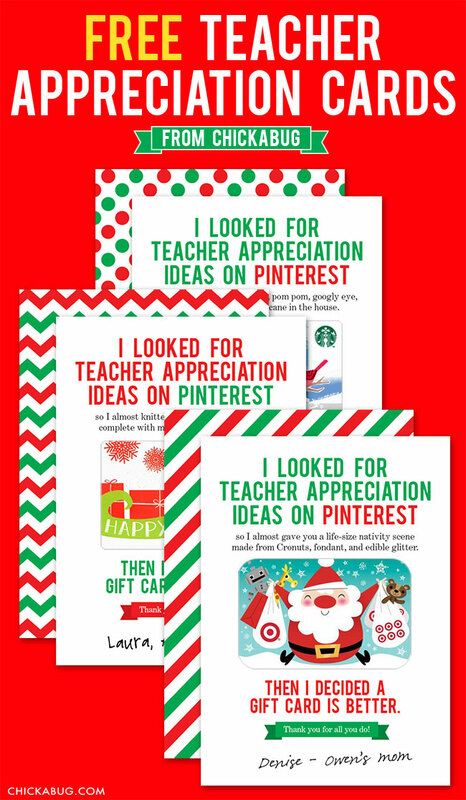 Here they are, just in time for your holiday teacher appreciation gifts! There are three designs, each with a different saying. Making the cards will only take a sec – just print the design of your choice onto white card stock, cut the cards out, and glue the patterned back to the front. Attach your gift card, and you’re good to go. The cards fit a standard A7 size envelope, which you can get at craft stores or office supply stores. Or say heck with it and go envelope free, why not! These are wonderful! Unfortunately, when I print them, they are smaller than the specified size and a gift card doesn't fit on the front. Do you know why that might be happening? I'm sad that they don't work. Hi Stacey! Please make sure you are printing at 100% scale on 8.5"x11" paper. Please use Acrobat Reader to print (get.adobe.com/reader). Thank you so much for doing this and for your generosity! I LOVE these so much! Thank you!!!! I signed up... but no email is coming through with a link? I've checked spam as well! never mind it just took 10 min lol...its there! 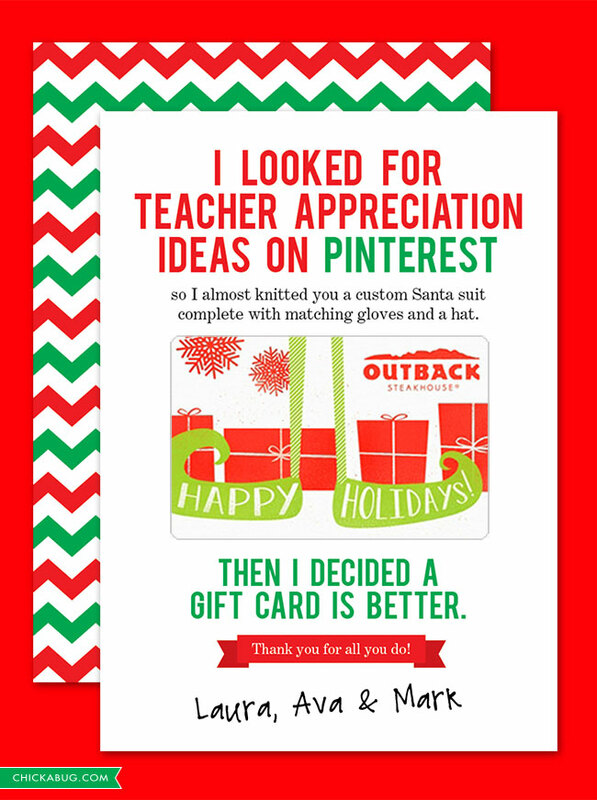 subscribed above to receive email for free printable pinterest Christmas gift card holder and still have not received the email link. Help please. Hi Katy! It looks like you received the email and clicked on the link in it, so you should be all set. If not please let me know. Thanks! I love the printables. So cute. I love these printables. They are so cute.